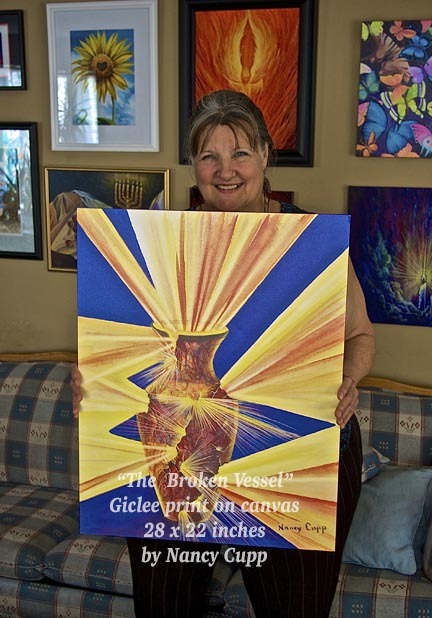 Nancy Cupp holding a giclee print of "The Broken Vessel" size 28 x 22 inches. It is on stretched canvas. Fall in love with an original painting that is already sold? No problem! Want the painting in a different size? After my original paintings are finished, I take high quality photos of them and can have them printed onto various surfaces. The original painting is always worth more, but, if it is unavailable, giclee prints are the next best alternative. Giclee prints are custom prints that use archival quality inks and archival surfaces that should last many, many decades. These are custom, one of a kind prints. You can choose the size and surface to be printed on. They can also be embellished with additional hand painting, to make them "one of a kind, unique giclees". 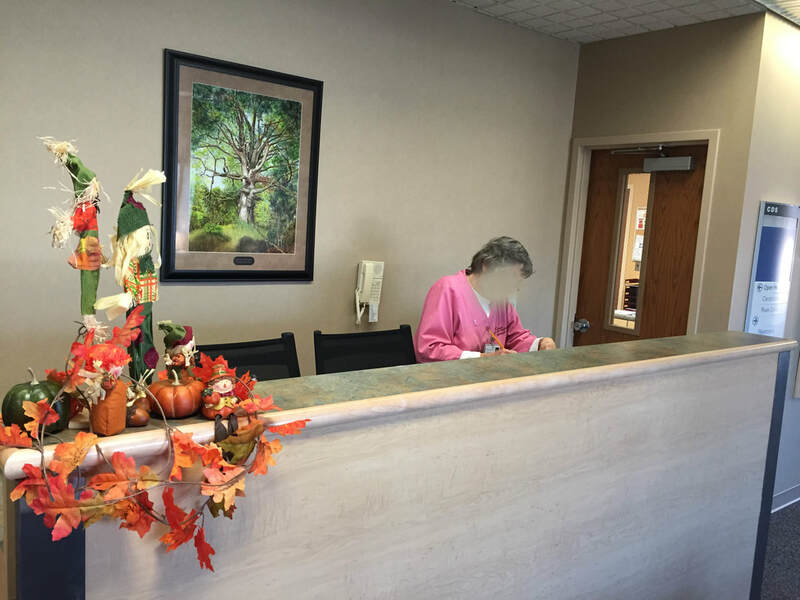 The quality is much better than standard prints, with archival inks and surfaces that are tested to last many years. These are custom orders so email me.